Its Derby weekend, y'all! And while we're not much ones for horse racing, we can absolutely get behind the tradition of wearing giant extravagant fancy hats and sipping mint juleps. 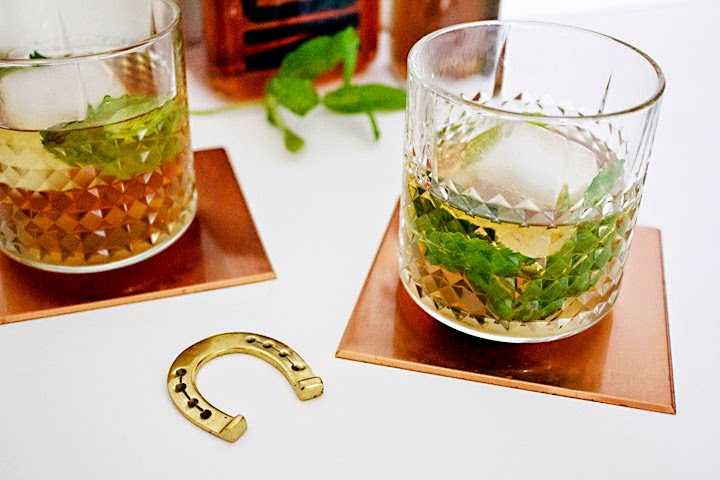 In celebration, we're bringing you a mint julep recipe with a slight twist. Every spring I make a big bottle of lavender simple syrup and I add a splash of it to everything. I mean, everything. I put it in lemonade, iced tea, sparkling water, a little pour over fruit salad, a tiny sprinkle on ice cream. But its especially yummy in cocktails! 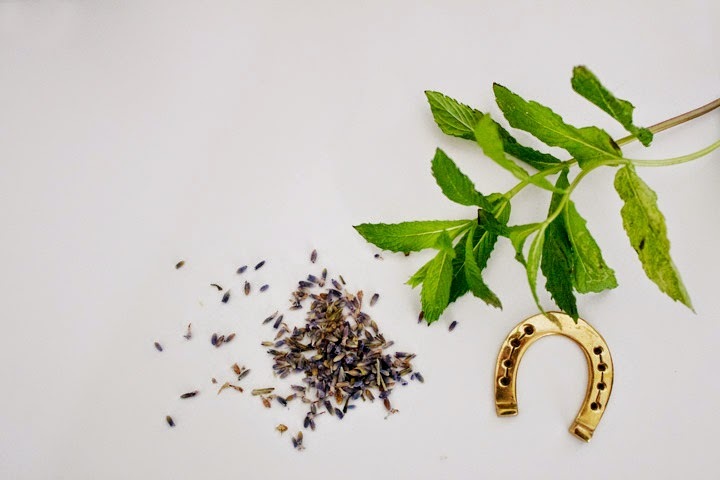 Lavender simple syrup pairs with mint perfectly and tames the overly sweet sweetness of a traditional mint julep ever so slightly. Serve this cocktail up at your derby party and you're sure to win a blue ribbon! In a small pan, combine the water and lavender and bring to a boil. Stir in sugar until fully dissolved. Reduce heat and simmer for five minutes. Remove from heat and allow to cool. Strain out the lavender. 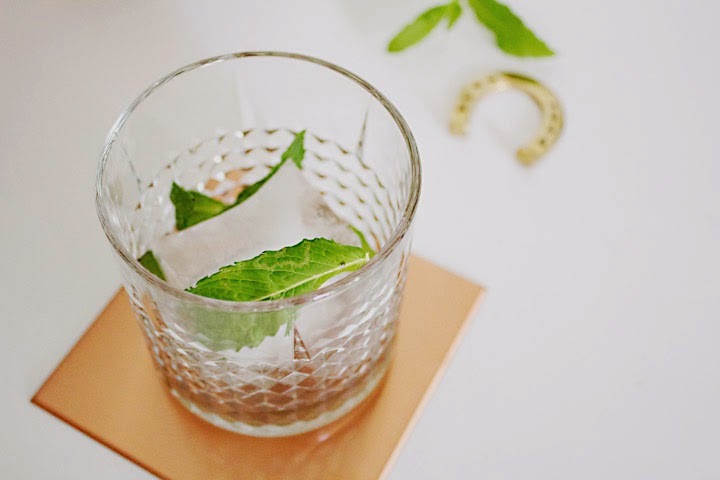 Combine the mint and simple syrup in mint julep cup or a rocks glass. Muddle the mint until crushed for more flavor. Fill the glass with ice and top with Bourbon. Garnish with a sprig of lavender or mint.